Passport app lication acceptance is now available the Grafton Public Library, 35 Grafton Common, Grafton MA by appointment only during the hours of 11am-8pm Mon-Thu and 11am-4pm on Friday and Saturday. In addition to regular passport fees, an additional $35 is charged for new passports and benefits the Grafton Public Library. 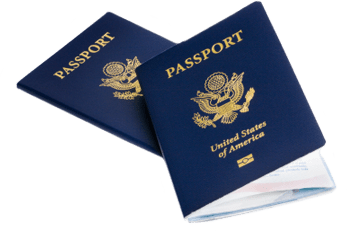 Passport applicants are advised to complete the application at home or online at the Library, print it, and bring the completed forms, along with all required documentation and a 2”x2” color photo. An important note; applicants must not sign the forms until witnessed in front of the clerk/agent. A list of all required documentation for a passport is available on the U.S. Department of State website at travel.state.gov. Additional documents may be required and can be found on the website. Photos must meet specific requirements, which are listed on the state travel website. To make an appointment, please call the Library at 508-839-4649 and press 1 for the Main Desk. The State Department recommends Passport applications be submitted 6-8 weeks before the date of travel. Passports may be renewable by mail; Passport Acceptance is also available at the South Grafton Post Office.